The aerospace industry seeks out HOPU for large scale, high precision composite parts and tools, molds, prototypes, jigs, cauls, and prototypes. As a specialist in composite and invar tool production, we design and build the tooling of parts that we build for customers. We do not send out tooling to a subcontractor. And because we build both parts and tools our customers get shorter schedule time to delivery, tighter integrations of parts with tools and faster change capability if requirements are revised. We communicate with suppliers across the country, every day, in order to give you the most competitive price possible. 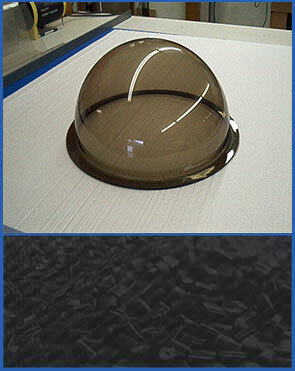 We are capable of expediting small run epoxy or fiberglass tooling as well as aluminum tooling for large production runs. Our staff is comprised of over 125 years combined experience in the design and development of thermoplastic materials.